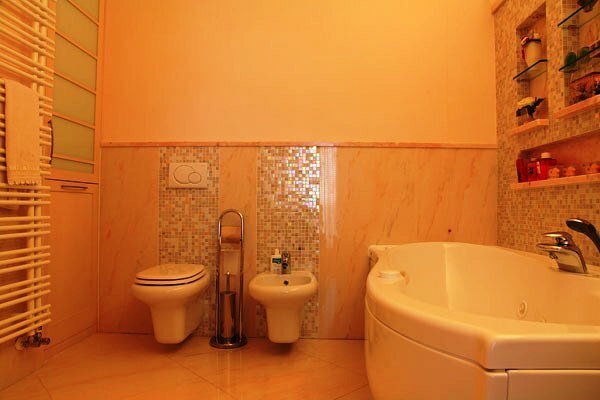 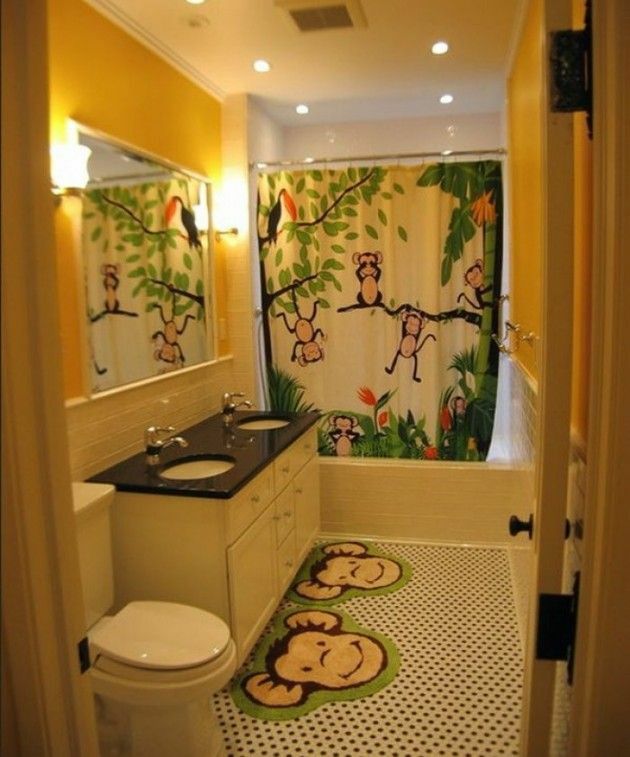 Accept It or not but you have to agree with me that we do not spend much on the decoration of our bathrooms. 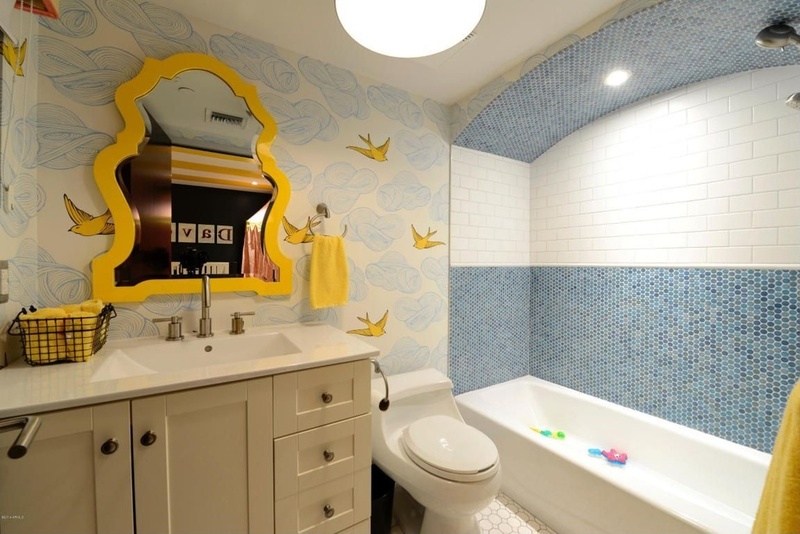 Especially when it’s come to kids bathroom, we totally ignore it. 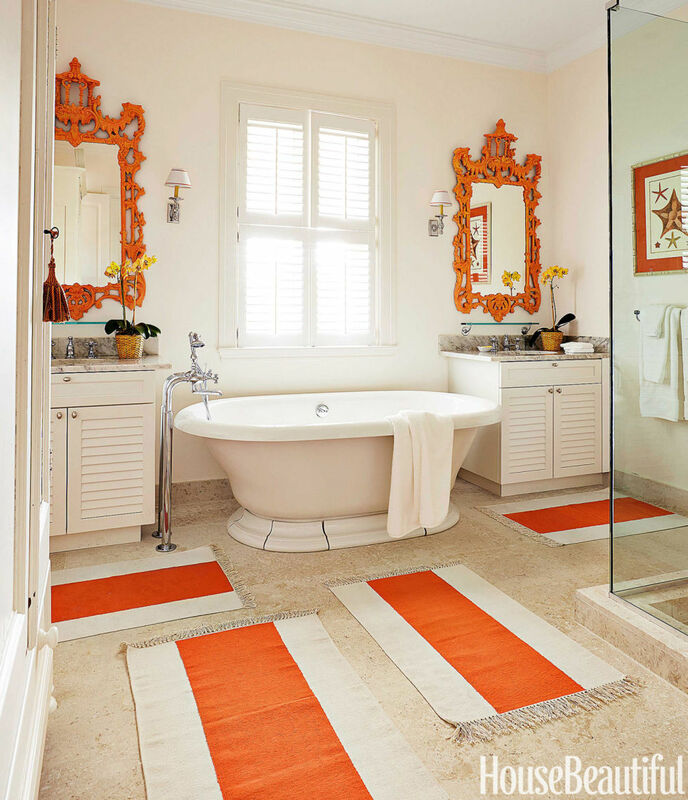 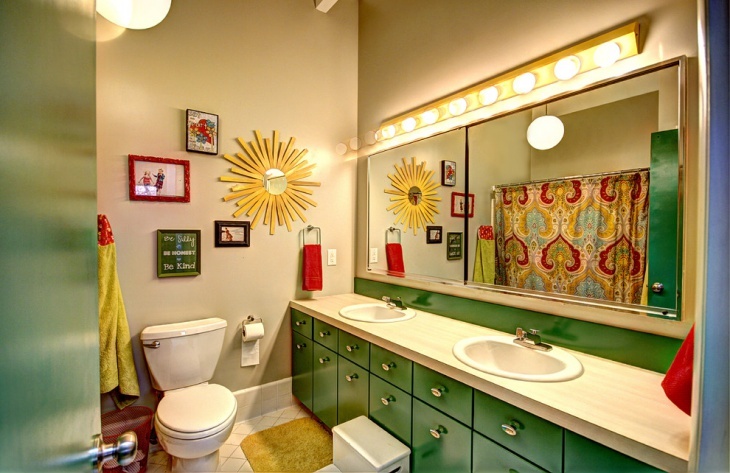 I have seen many houses where each and every room of house has been decorated with extra ordinary things and color schemes but when I entered in the bathrooms, I feel like that I am entered in totally separate part of the house. 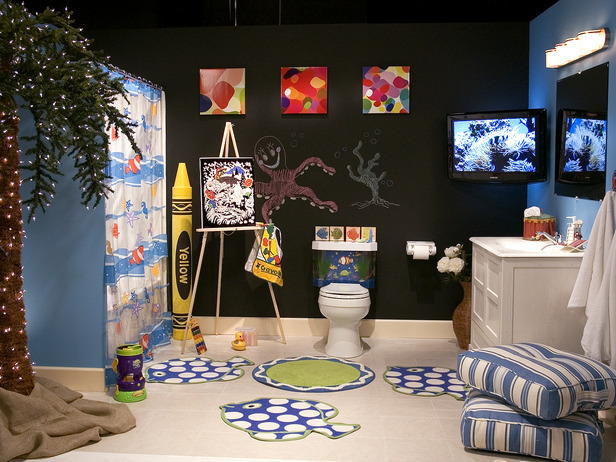 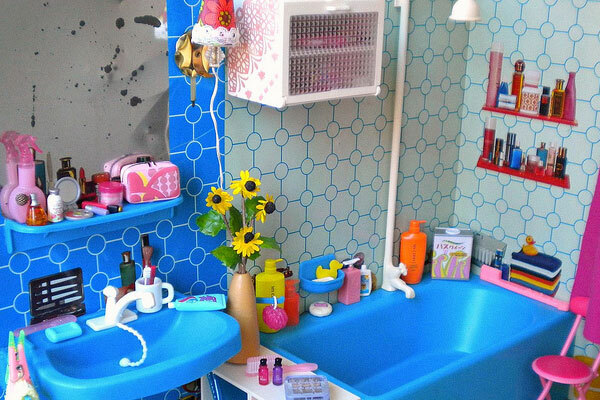 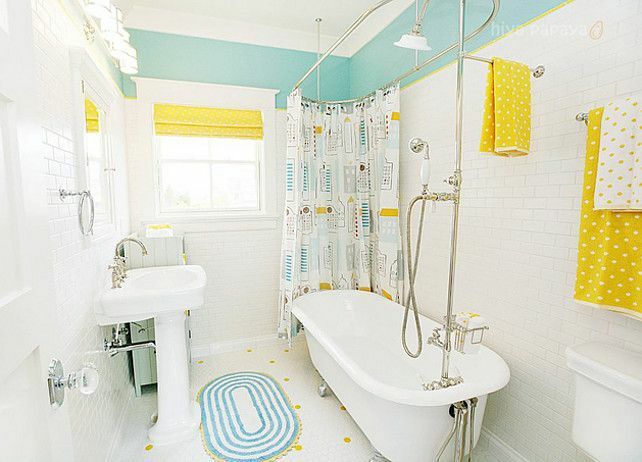 Just like kids bedroom, you can decorate kid’s bathroom very easily. 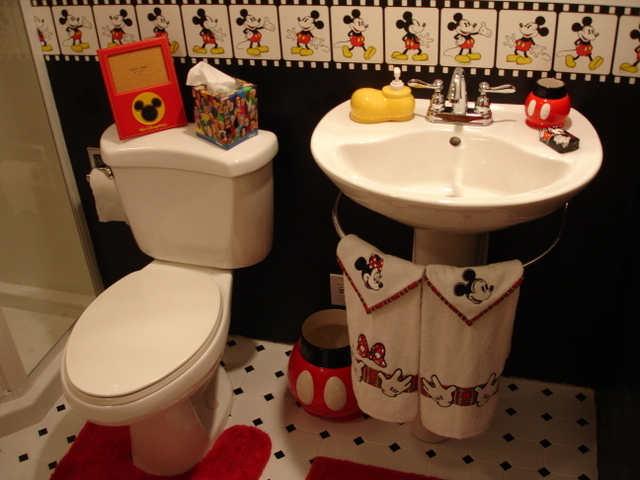 In market, now so many different decorations related to kid’s bathrooms are available to purchase. 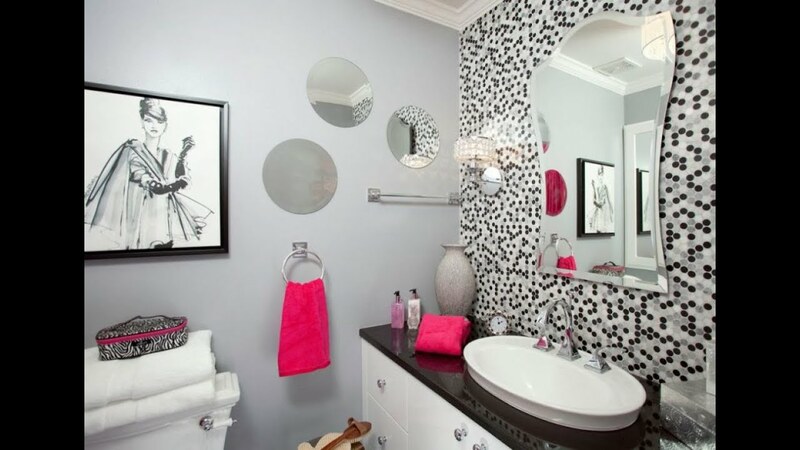 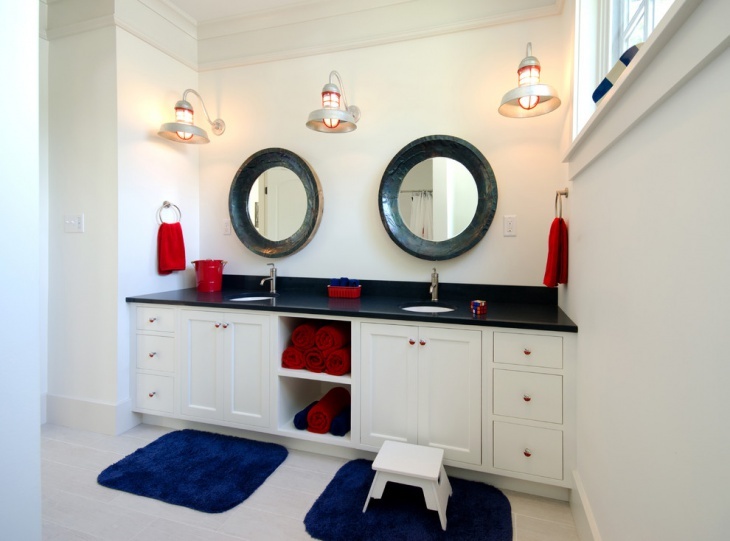 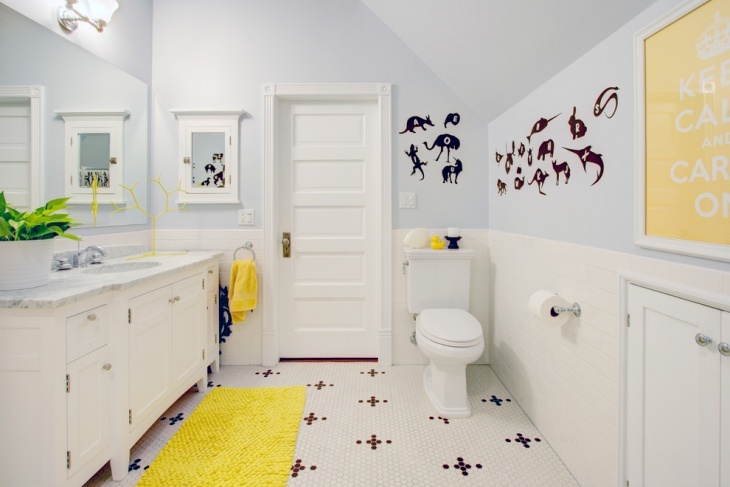 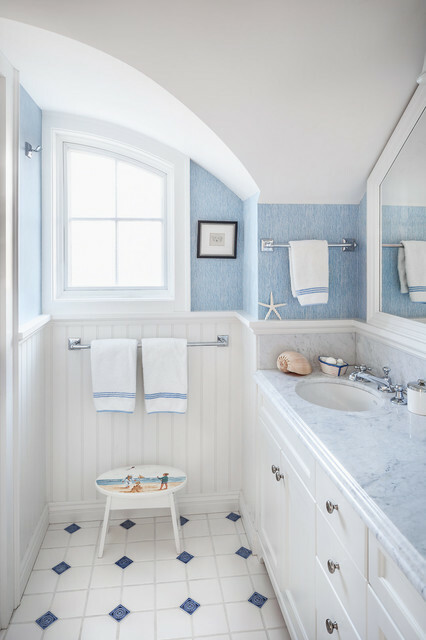 Usually parents are the one who decide the color scheme of their kids bathroom but taking opinion from kids can give you more ideas and also help you to come up with something which would be appreciated and liked by the kids too. 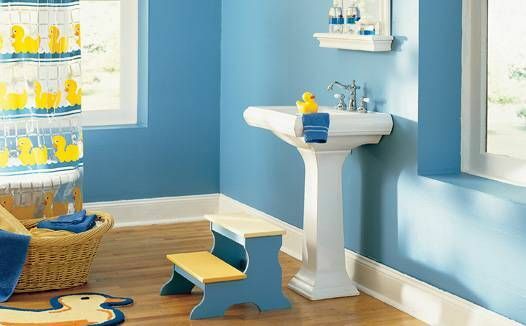 Choosing color scheme which match with the decoration of the bedroom is a great idea but if you want to go beyond that then you can change the decoration of kids bathroom in totally different way by selecting a different theme and color scheme etc. 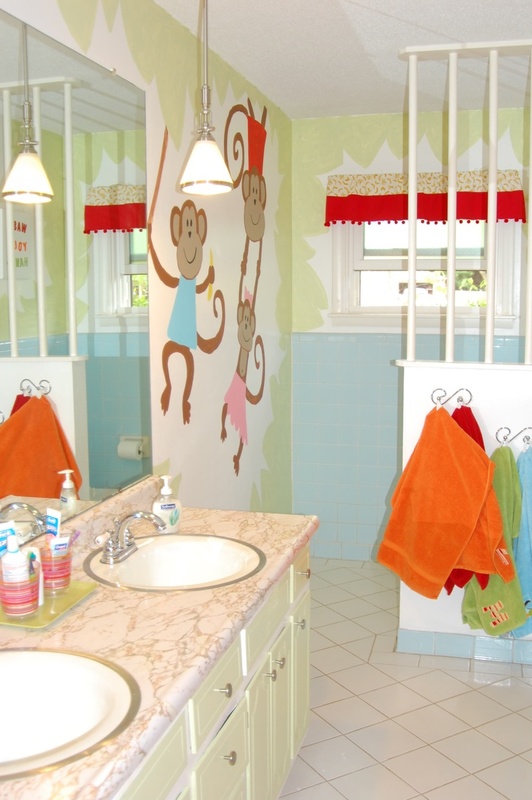 Following I am sharing with you the latest pictures of kids bathroom decorations. 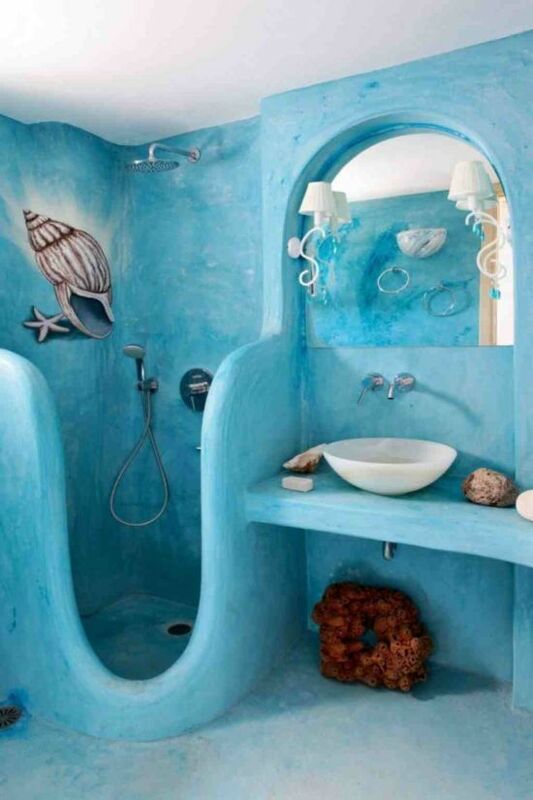 Instead of adding random pictures from internet, I tried my best to only share valuable stuff with you. 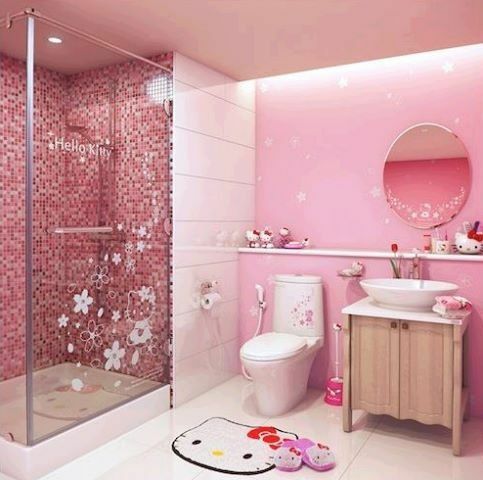 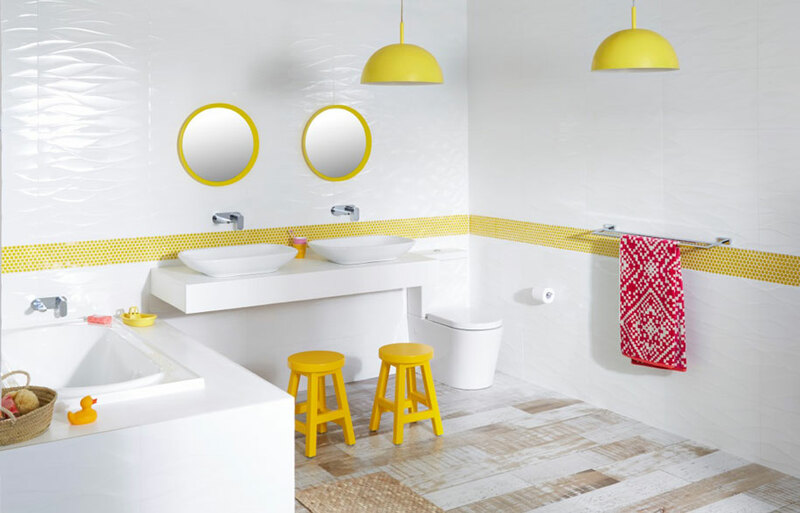 So, that these pictures can help you to select different and good decoration for your kids bathroom. 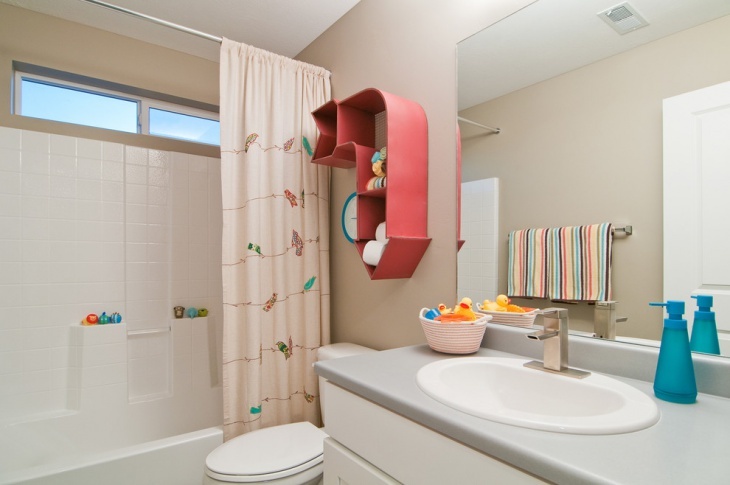 While you are looking at these kids bathroom decoration photos, make sure to have your kids next to you, so that they can also help you in decorating their own bathroom.